Designed for audio, hi-fi and home cinema systems, LoRad is a CE-Approved audio grade replacement 3-core shielded mains cable, designed to minimise the amount of RF interference that can be induced into low-level signal cables, which are usually in close proximity to conventional power cables. By using an innovative and patented screening design, that does not involve a separate drain wire, LoRad is easy to connect up to existing mains connectors. SAFE for Domestic use, does NOT affect household insurance policy. (You insurance policy MAY be invalidated by using non-conforming or non-safety approved products). Check with your insurer to see if your household and building insurance policy covers you if you are using a non-approved electrical cable. Meets all CE criteria with regards to safety and use in domestic situations. If you are in the market for an audio grade replacement mains cable, and you're visiting this website for factual information, we would advise you to check with our competitors to find out if the cable they are using is CE-approved. As such, you should check with your local Trading Standards Office to find out if the replacement mains cable you are considering is suitable for domestic use. 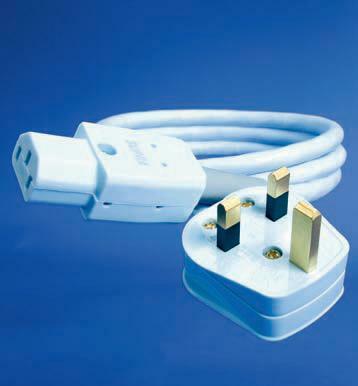 Some are only suitable, and approved, for use in fixed installations, such as within cavity walls - they are not necessarily approved for use going from the wall socket to the device, as they may not have passed the CE-flex-test (which ensures the cable is safe if flexed for up 2x 30,000 times - solid core cables are not usually designed to be flexible and hence may fracture if flexed). Some after-market branded mains cables do NOT use CE-approved cable. GRADE replacement mains cable. LoRad isn't designed for anything else. LoRad isn't used for anything else. LoRad is NOT a speaker cable being used for power !! Tin-plated OFC conductors. Little chance of corrosion over time. 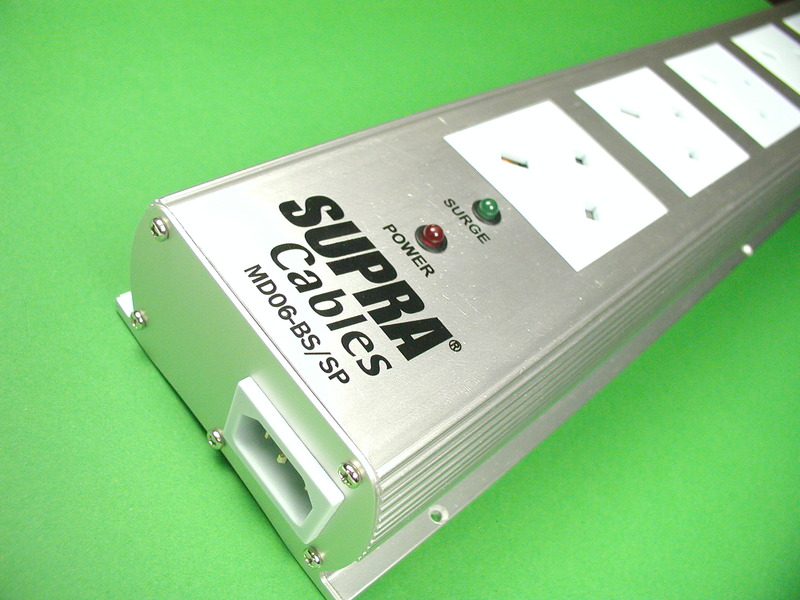 Fully Patented shielding Minimises RF radiation to other nearby low level signal cables. Doesn't use a separate uninsulated drain wire. Easy and safe to wire up. Doesn't cause short circuits under high flexing conditions. Many brands of shielded mains cables utilise an uninsulated multi-stranded "drain" wire, that under heavy flexing and/or over time can "slice" into any one (or more) of the power carrying conductors - most other brands of cable use this design and over time it is possible for the drain wire to short out one of the other conductors. Flexible, yet tough outer covering. Easy to position and easy to connect to many types of connectors. LoRad 2.5: 3x 2.5 sq. mm conductors (13 AWG), 11mm outer diameter LoRad 1.5: Compact external diameter for lower power devices. Capable of carrying upto 10 Amps (@ 230V). LoRad 2.5: Able to carry higher powers (certified for 16 Amps @ 230V). Suitable for use with a wide range of mains connectors LoRad can be used with most types of re-wireable mains connectors, as follows: UK, IEC320, Schuko, etc. LoRad 1.5 - UK, IEC320, Schuko, etc. in factory supplied pre-terminated lengths (fitted with UK, Schuko, IEC and other types of mains plugs). Free choice as to how you want to buy it and how you want to terminate it and use it.